Born in Portsmouth, N.H. on April 10, 1837 Alfred T. Bricher received his early education at the Academy of Newburyport, Mass. In 1851 he began working in a mercantile house in Boston and may have studied art at the Lowell Institute during his leisure hours. 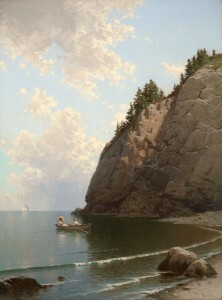 By 1858 he had taken up painting as a profession - opening a studio in Newburyport. 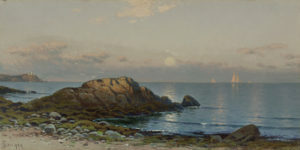 For the next 10 years he continued working out of his studio and traveling around the New England coast. By 1868 Bricher had moved to New York City and married Susan A. Wildes. He exhibited his first work at the National Academy of Design that same year and began submitting works to the American Water-color Society for exhibition. He was elected a member of the American Water-color Society in 1873 and an Associate member of the National Academy of Design in 1879. 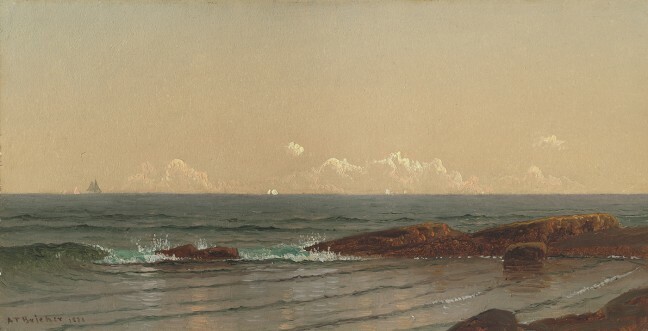 Bricher, although among the younger men belonging to the American school of painting, has already assumed a leading position as an artist, not only as a marine painter but also in the delineation of landscapes. 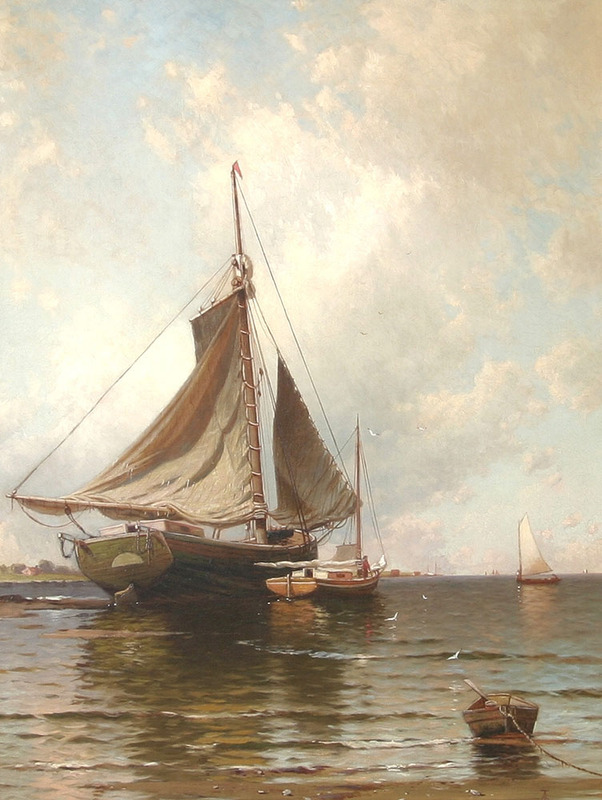 By 1882 Bricher had moved to Southampton, L.I. where he built a studio and painted for the next 8 years. In 1890 he built a home in New Dorp, Staten Island where he remained till his death in 1908.